This is a very healthy and great dessert. 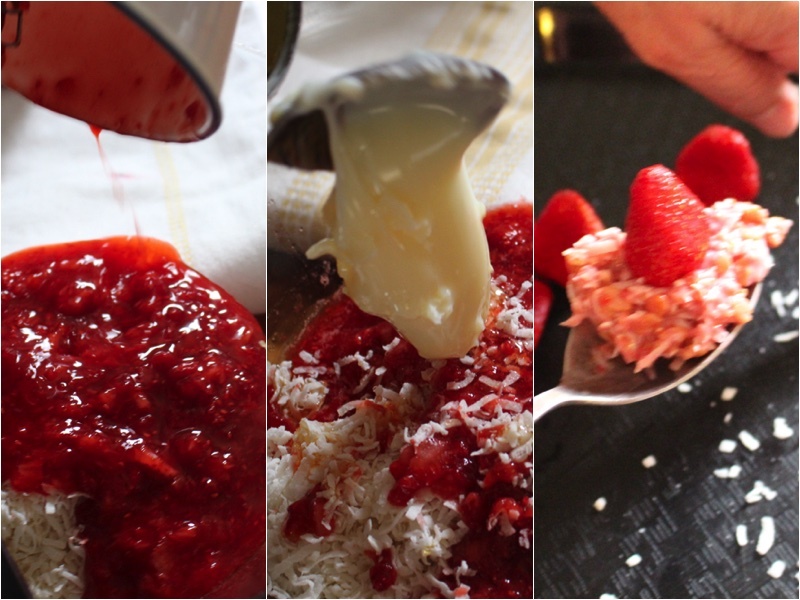 It includes fresh strawberries, coconut flakes and honey. I also recommend it for children. It helps them a lot! I hope you enjoy this dessert as much as I did. 1.) In a small bow add your crispy rice, coconut oil and honey. Blend 1/2 of your strawberries. 2.) 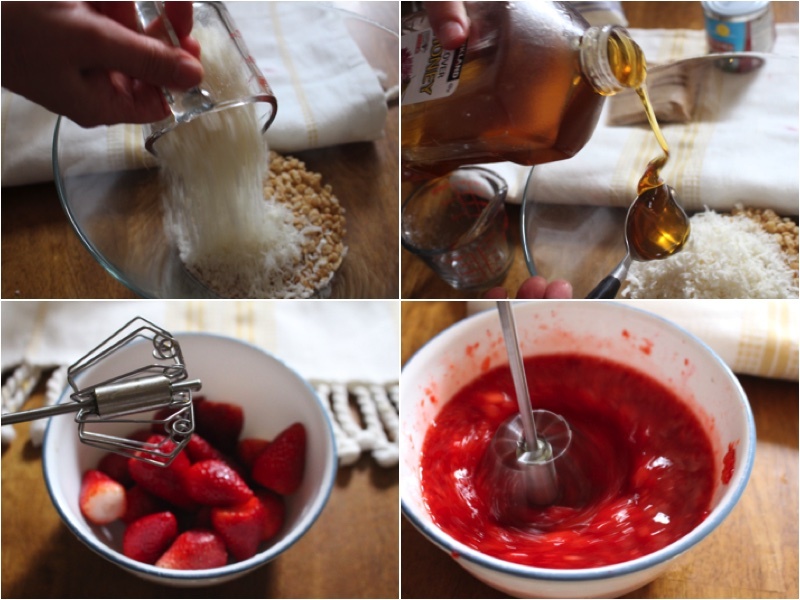 Add strawberries to your mixture. Also add condensed milk. 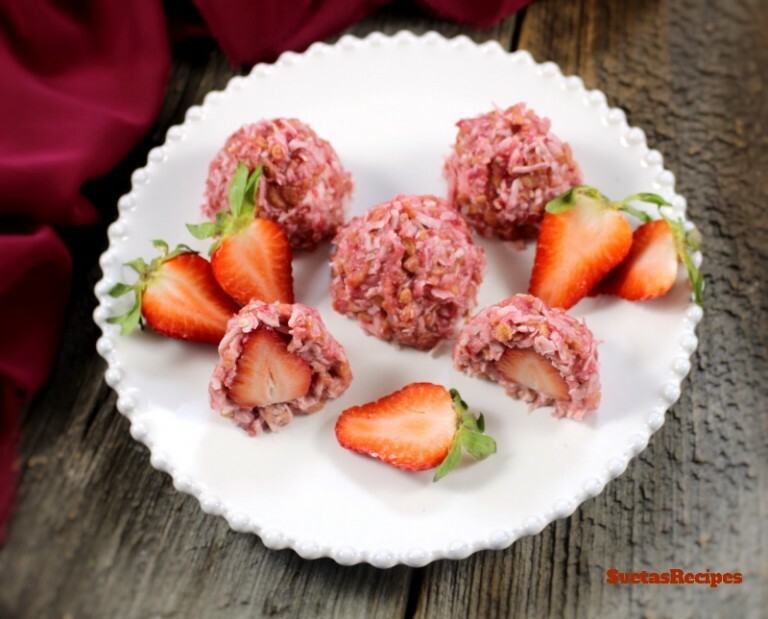 Place 1 Tbsp of your mixture on the table and place 1 strawberry on each one and shape it into a sharp circle. Place into a refrigerator and let it cool. Last but not least place it on a serving dish and enjoy. In a small bow add your crispy rice, coconut oil and honey. Blend ½ of your strawberries. Add strawberries to your mixture. Also add condensed milk. 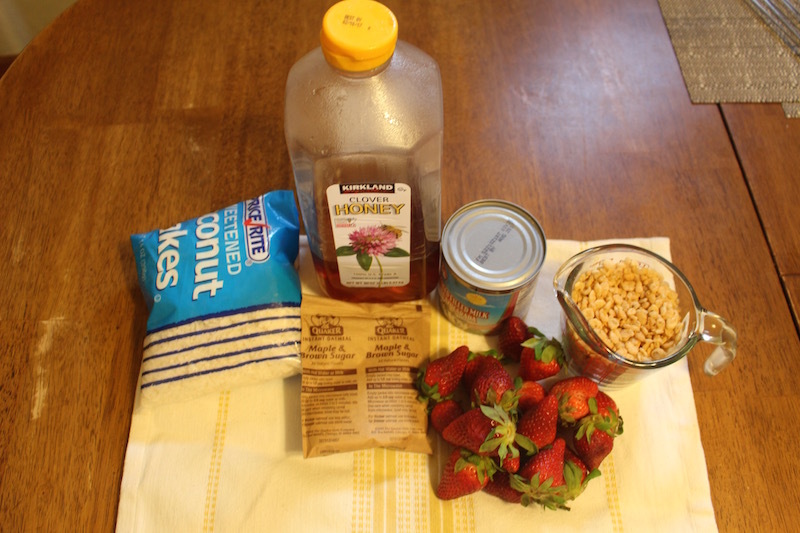 Place 1 Tbsp of your mixture on the table and place 1 strawberry on each one and shape it into a sharp circle. Place into a refrigerator and let it cool. Last but not least place it on a serving dish and enjoy.